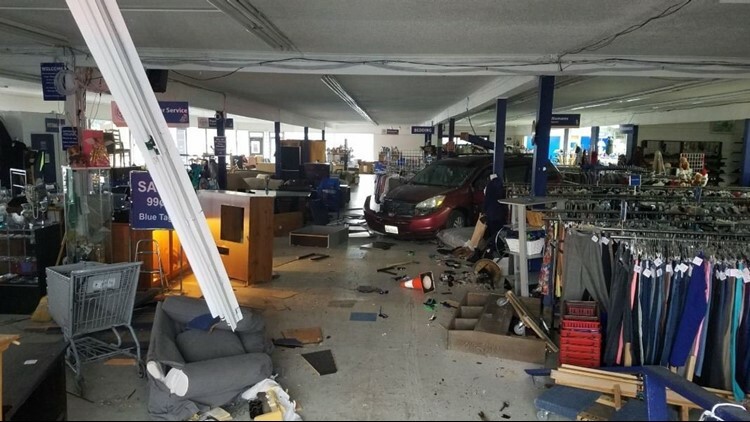 The St. Vincent De Paul thrift shop in Burien is temporarily closed after a customer drove through the side of the store. Executive Director Ned Delmore said the driver was in a loading area waiting to pick up a mattress on November 26. Somehow, she hit the gas and ran her van into the center of the store. The crash broke one of the building's main structural beams in half. There is also foundation damage. An employee is recovering after being injured in the crash. The rest of the employees have been offered shifts at other St. Vincent de Paul shops while the Burien location undergoes repairs. The store along 1st Avenue South could remain closed through the end of the holiday season, if not longer. "You get this emotional surge in people over the holidays, and it can often be a very draining time for people because they're afraid they won't be able to get the things they want for their kids. So sometimes things get very, very tight," Delmore said. Ninety cents of every dollar spent at the store goes back into the community. The thrift shop helps fund the services St. Vincent de Paul provides families in need, including money for rent, medication, or electricity bills. If you'd like to help the store recoup some of its lost revenue, you can donate online.